Premia’s selection of ice creams is always changing and evolving. 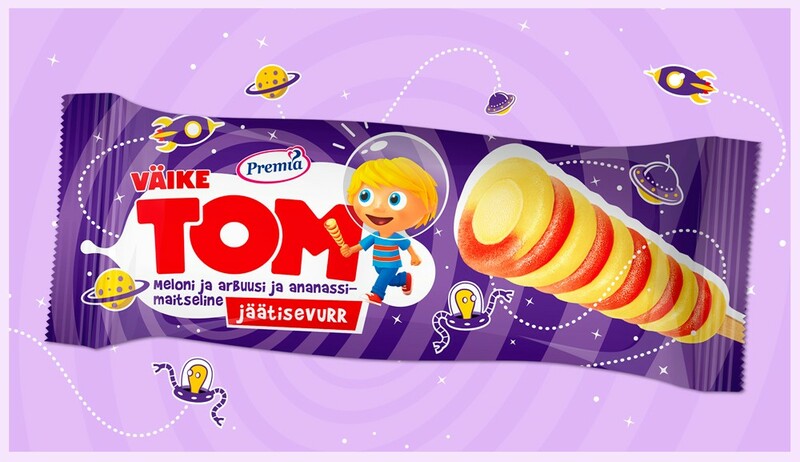 This time our task was to design a new package for Väike Tom Vurr – an ice cream with so many different flavours and with a look that it out of this world. That’s exactly why we were inspired by outer space.